This is very quick , nutritious and delicious mashaAllah! Wash and chop up all the fresh fruit - leaving the peels on apple for the colour and benefit of the fibre, though you may prefer to remove the skin from pears if it is too coarse. If you squeeze a little lemon juice on the fruit as you add it to the bowl this will prevent it from going brown on exposure to the air - or the fresh fruit juice will probably suffice if you are using it. 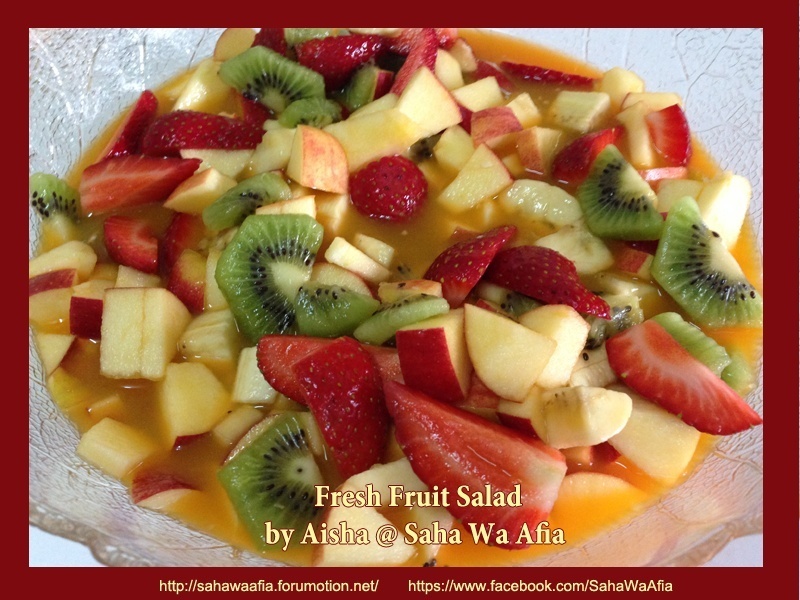 I have made this with only the Apples and Bananas with fruit juice and it has always gone down very well alhamdulilah. You can serve it with cream or ice-cream if you like.